The UK will trigger Article 50 on March 29. But a battle over a second Scottish independence referendum is brewing in the background. Scotland’s parliament will debate this prospect on Tuesday and vote on whether to open formal negotiations with Westminster – whose permission it needs to hold the vote – on Wednesday. With support from the Scottish National Party and Greens, which together hold a majority, the push for a second referendum is expected to pass Wednesday’s test. The outcome of future talks between Holyrood and Westminster is less certain. Theresa May opposes IndyRef2. Recognising her weakened position in the face of impending Brexit negotiations, Ms May insists that “now is not the time” to re-run the 2014 vote. 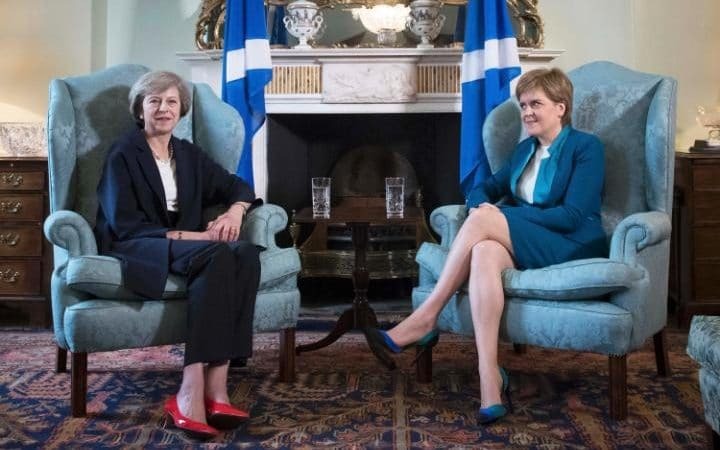 While SNP Chief Nicola Sturgeon has backed down from a demand that the vote be held in 2018, she insists that Scots be given a second bite at independence. Granting a second Scottish referendum could be disastrous for the Union, which is threatening to unravel. Northern Ireland’s republican Sinn Fein party has already raised the prospect of holding a similar independence vote, as has Welsh nationalist party Plaid Cymru.